Dr. Aysenil Belger, PhD is Professor and the Director of Neuroimaging Research in Psychiatry, and Professor in the Department of Psychology at the University of North Carolina at Chapel Hill, and Adjunct Associate Professor in the Radiology Department at Duke University and the Duke-UNC Brain Imaging and Analysis Center. Her research focuses on studies of the cortical circuits underlying attention and executive function in the human brain, as well as the breakdown in these functions in neuropsychiatric and neurodevelopment disorders such as schizophrenia and autism. 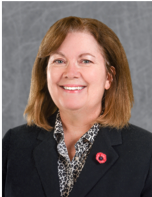 Dr. Diane Brown, DVM, PhD, DACVP, is currently the AKC Canine Health Foundation’s (AKC-CHF) Chief Executive Officer (CEO). Her research interests have focused on comparative hematology, and range from developing micro-volume blood assays to studying host-pathogen interactions and hematopathology in Salmonella infections, to investigating inherited metabolic diseases of dogs and cats that mimic the human conditions. In her role at the AKC CHF, she is responsible for cultivating the Foundation’s research and education strategy to ensure strategic, responsible, and innovative application of donor funds to uphold the Foundation’s Mission to advance canine health. Dr. 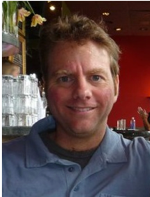 Rob Dunn is a biologist and writer in the Department of Biological Sciences at North Carolina State University. Dunn uses different approaches to understand the stories of the species all around us and how they have changed or might change in the future, including ants and their societies, mosquitoes and the diseases they vector, and rare carnivores and the parasites they host. Dunn’s writing has appeared in Natural History, BBC Wildlife Magazine, Scientific American, Smithsonian Magazine, National Geographic and other magazines. He has published two books, Every Living Thing and The Wild Life of Our Bodies. 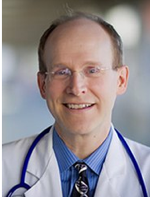 Dr. Jim Evans’s major professional interests lie within the field of clinical cancer genetics, the use of high-throughput sequencing in clinical medicine, and public policy as it relates to genetics. He directs the Clinical Adult and Cancer Genetics Services at the University of North Carolina. This comprehensive clinic provides evaluation, counseling, and risk assessment through pedigree analysis and genetic testing when appropriate. Dr. Evans is deeply interested in evolutionary theory and how evolution relates to medical issues (see Evans JP. JAMA 2009). 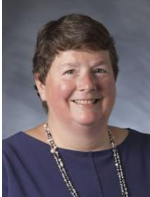 A specialist in the history of science and medicine, Dr. Margaret Humphreys has focused her research and publications primarily on infectious disease in the U.S. and the American south, as well as the history of medicine during the American Civil War. She has published several books, including Yellow Fever and the South (1992), Malaria: Poverty, Race, and Public Health in the United States (2001), Intensely Human: The Health of Black Soldiers in the American Civil War (2008), and Marrow of Tragedy: The Health Crisis of the American Civil War (2013). 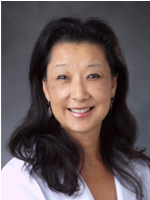 Dr. Shelley Hwang is a Professor of Surgery in Advanced Oncologic and GI Surgery. Dr. Hwang is interested in the diagnosis and treatment of early-stage breast cancer, management of patients at high risk for breast cancer, and surgical treatment of patients with breast disease. Dr. Steve Meshnick’s research group uses methods from molecular and evolutionary biology to understand the epidemiology and pathogenesis of infectious diseases. They have been using next-generation sequencing to understand the genetic diversity of malaria parasites and how it affects both drug and vaccine efficacy. More recently, they have been studying the microbiomes of disease vectors, especially ticks. My research group investigates the community ecology of infectious disease. We study pathogens infecting wild plants, chiefly grasses. Our main current interest is interactions between fungal pathogens and the broader leaf microbiome. Dr. Fred Nijhout is broadly interested in developmental physiology and in the interactions between development and evolution. He studies the mechanisms that control body size and the relative size and shapes of appendages, and the development, genetics and evolution of complex traits. 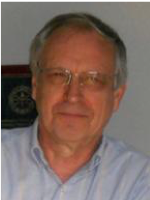 Much of his current work centers on complex metabolic systems relevant to human health, and the mechanism by which these systems are either sensitive or robust to mutations and environmental factors. 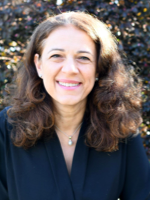 Dr. Shila Nordone is Director of Research Development for the Nicholas School of the Environment at Duke University and adjunct Research Assistant Professor of Immunology at NC State University College of Veterinary Medicine. 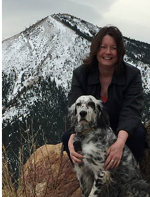 She serves as a grant writing consultant to firms specializing in acquisition of non-dilutive federal funds and as a scientific advisory board member for veterinary non-profits. Dr. Nordone continues to be active in collaborative research involving modeling and forecasting of infectious disease in companion animals. Work in the Parker lab focuses on immune dysfunction that can lead to chronic inflammatory disease in Westernized societies. His laboratory is particularly interested in the reintroduction of symbionts to the human body that were lost after the industrial revolution. Their current work related to the biome and human disease is focused on the use of “helminthic therapy” to treat and even avert chronic disease in humans. 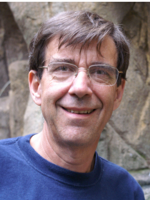 Dr. Herman Pontzer, PhD, is an Associate Professor of Evolutionary Anthropology at Duke University, and also holds an appointment in the Duke Global Health Institute. 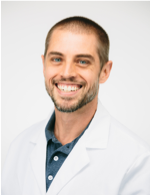 His research focuses on metabolic energy expenditure and the relationships between diet, physical activity, and cardiometabolic health. Dr. Pontzer is involved in projects with subsistence farming and foraging populations in Kenya, Tanzania, Ecuador, and Bolivia examining physiology and health outcomes in non-industrial populations and the development of evolutionary “mismatch” diseases in the industrialized world. Dr. Michael Reiskind has spent his professional career studying various aspects of infectious disease, with a recent focus on pathogens transmitted by arthropods. He received his Masters of Public Health and a PhD from the University of Michigan and completed post-doctoral training at the Florida Medical Entomology Laboratory. He is currently an assistant professor in the Department of Entomology at North Carolina State University. 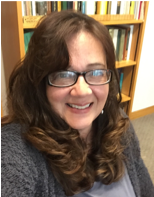 Dr. Ristaino works on the population genetics of historical epidemics of the pathogen that caused the Irish famine Phytophthora infestans and studies the population structure and epidemiology of modern day late blight outbreaks. Her recent work with collaborators has used next generation sequencing to study historical outbreaks. Her lab also manages the disease surveillance network called USABlight.org. She also conducts Phytophthora and molecular diagnostics workshops globally in the developing world and has described new species of Phytophthora and developed taxonomic keys for identification. She directs a new faculty cluster at NC State on “Emerging Plant Disease and Global Food Security” and has led the Triangle Global Food Security Initiative. Dr. LaHoma Smith Romocki is an Associate Professor of Public Health Education at North Carolina Central University. 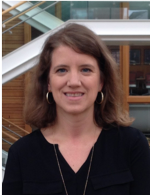 Her research interests focus on helping to determine effective interventions that are tailored and culturally appropriate to address individual, community, and institutional factors to prevent infections and reduce progression to disease. She has developed a network of both governmental and non-governmental partners aimed at communicating research findings and implementing interventions targeting multiple and diverse audiences in more than 10 African countries. 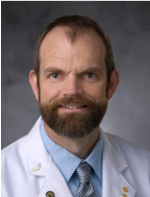 Dr. Jason Somarelli is a Medical Instructor in the Department of Medicine and Director of Research for the Duke Comparative Oncology Group. He studies cancer through the lens of ecological and evolutionary paradigms. He is also passionate about mentoring and serves as the Director for the Duke Scholars in Marine Medicine Program, an undergraduate mentored research program at the intersection of the marine environment and human health. 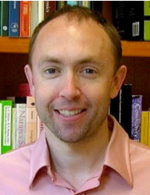 Dr. Kyle Summers has broad interests in evolution, particularly evolutionary ecology and evolutionary genetics. His students and him have carried out research on reproductive strategies and larval life history in frogs, the evolution of aposematism and mimicry, and evolutionary approaches to human health and behavior. Summers is interested in molecular systematics and the use of phylogenetic trees to inform analyses of ecology and adaptation. 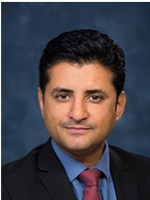 Dr. Sid Thakur is a Professor in the College of Veterinary Medicine, NC State University. He espouses the concepts of “One Health” and seeks to understand how antimicrobial resistance develops in “superbugs” that affect animal and human health . He is the Director of Global Health CVM and the Director of Global Health Initiatives at NC State. Dr. Thompson specializes in the study of human growth and nutrition, studying the biological pathways linking early life social, behavioral and physical environments to obesity and chronic disease across a range of national and international settings. Her work focuses on: the effects of early diet on the development of the intestinal microbiome as an underlying pathway linking infant feeding and the development of obesity; the structural, social, maternal and infant characteristics contributing to the development of an obesogenic environment; and the physical and social environments associated with the development of inflammation in children, adolescents, and adults. 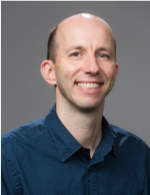 Dr. Jeffrey Thorne is a statistical geneticist who is in the Biological Sciences and Statistics Departments at North Carolina State University. 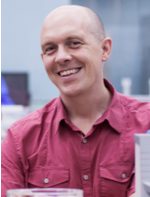 His research focus is on extracting evolutionary information from DNA sequence data. Among his interests are the evolutionary impacts of protein structure, genome repeats, and cancer. 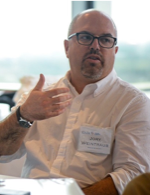 Dr. Jory Weintraub is Science Communication Director and Senior Lecturing Fellow with Duke University’s Science & Society Initiative. In this position, he teaches undergraduate and graduate courses and conducts faculty workshops in science communication. 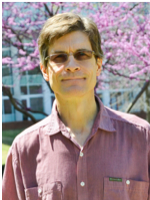 He is a member of the editorial board of the journal Evolution: Education and Outreach, serves on the Education Committee of the Society for the Study of Evolution, and is a Steering Committee member of the National Alliance for Broader Impacts. His work focuses on minority outreach, science communication/education/outreach and faculty development.